Arrested for DUI? DUI Lawyers Are Ready to Help! The Police are not your friends. Remember, they are trying to build a case against you. Requesting a drunk driving attorney is not an admission of guilt. Know your rights and protect yourself! Each year thousands of Americans are arrested for drunk driving. If you made the decision to drive while under the influence of alcohol or drugs and were pulled over by a police officer, you are looking at legal consequences including fines, suspension of your driver's license, prison time, court ordered substance abuse education and/or counseling, installation of an ignition interlock device, community service, among others. In addition to the penalties imposed by law for intoxicated driving, you also face consequences not contained in state DUI statues such as increased insurance rates (SR-22 or FR-44) as well as your drunk driving arrest being on your criminal record which can potentially cause problems when applying for employment or housing requiring a background check. In order to ensure that you do not face unduly harsh penalties you need to have an experienced DUI lawyer helping you with your case. Do not delay. The sooner you have a qualified drunk driving attorney working your case the better. Every state has drunk driving laws but they can be referred to by different names. If you have been arrested for Driving While Intoxicated or Driving While Impaired (DWI), Driving Under the Influence (DUI), Driving with Unlawful Alcohol Concentration (DUAC), Operating While Intoxicated or Operating While Impaired (OWI), Operating Under the Influence (OUI), Operating a Motor Vehicle While Under the Influence of Alcohol (OMVI), Operating Under the Influence of Liquor (OUIL), Driving Under the Influence of Liquor (DUIL), Driving While Ability Impaired (DWAI), Driving Under the Influence of Intoxicants (DUII), Driving While Under the Influence (DWUI), Driving with an Unlawful Blood Alcohol Content (UBAC), Driving After Imbibing (DAI), do not attempt to handle the charge on your own. Contact an attorney experienced in practicing drunk driving cases in your jurisdiction. The Constitution of the United States reserves to the individual states the power to regulate DUI laws. There is no national "DUI Law." Instead, it is the responsibility of each state to write its own DUI laws. Thus, the state where you are arrested for drunk driving will determine the specific penalties you will face. There are a few constants throughout the 50 states. Most importantly, the legal limit for intoxication is .08% Blood Alcohol Content (BAC) throughout the United States. Whether you are in Alabama, Wyoming, or anywhere else in the US, if your BAC is .08% or higher you are not fit to operate a motor vehicle in the eyes of the law. Along the same lines, every state has adopted what is called a "zero tolerance law" for drivers under the legal drinking age of 21. What this means is that if you are under 21 years of age and an investigation shows that you were operating a motor vehicle with any detectable amount of alcohol in your system (.01-.02 percent BAC) you can be charged with drunk driving. How do I find the right DUI lawyer for me? Choosing the best DUI lawyer for your case is the most important thing you can do following a drunk driving arrest. As soon as possible after you are arrested for DUI it is essential that you contact a lawyer experienced in handling DUI cases in the area of your arrest. There are deadlines shortly after your drunk driving arrest for things such as requesting an administrative hearing regarding the suspension of your driver's license and other motions and documents that an experienced DUI attorney will have knowledge of and will be prepared to file on your behalf. The DUI criminal defense attorneys on this site are experienced in handling DUI arrests in your jurisdiction and will fight for you in court. More importantly, they will have your best interests in mind throughout this difficult ordeal and will be available to counsel you on all aspects of your drunk driving arrest. The legal penalties and other consequences of a DUI in your state are not something that you should take lightly. 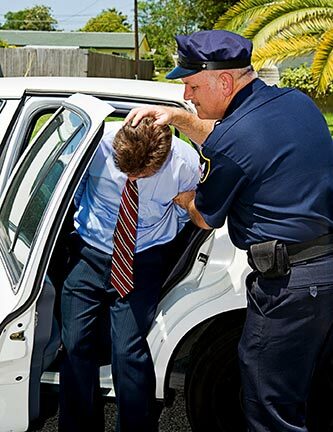 Contact a knowledgable drunk driving lawyer today and start fighting your DUI arrest. If you have been charged with DUI, do not hesitate; call an experienced local DUI lawyer as soon as possible. For more information on DUI Laws in your state, please read the DUI Information, DUI License Suspension, and DUI Penalties pages of this site.